DAE Kalpakkam Recruitment 2018-2019 Application Form for 13 Technical Officer, Scientific Officer, Medical Officer Posts Download Application through Official website www.igcar.gov.in. 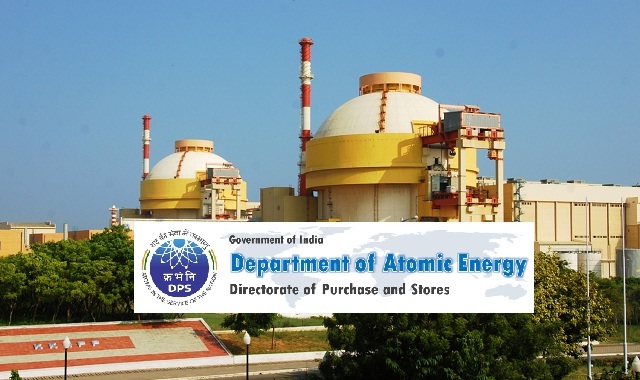 Department of Atomic Energy, Kalpakkam. DAE Kalpakkam pattern of examination, Syllabus, Question Paper, Admit Date Release Date, Exam Date, Result Date etc. the stipulated criteria before Applying Now Online. DAE Kalpakkam Recruitment 2018 Technical Officer Jobs - Apply Online. 7. Technical Officer/C (Civil) - B.E. B. Tech. Degree in Civil Engineering with minimum 60% marks from a recognized university. Desirable Experience 1. Experience in structural design, analysis of various structures/multi-storied building etc.,. 2. Experience in construction of projects / resedential apartments/roads/bridges etc. Category No: VI and VII: In case number of applications are large the number of vacancies, GSO reserves the right to conduct a written examination (objective type) to restrict the number of candidates to be called for interview. Only screened in candidates will be called for written test (if conducted)/interview. The application should be accompanied by a non-refundable crossed Demand Draft on any scheduled banks drawn in favour of Accounts Officer, GSO, Kalpakkam for Rs.50/- (Rupees fifty only) payable at Kalpakkam. Note: Women candidates, SC/ST candidates, persons with physical disability and dependents of Defence personnel killed in action and Ex-servicemen are exempted from paying the above fee. Persons with physical disability should produce necessary certificate from Govt. Hospital/Medical Board in support of their claim. The application in the prescribed format as given below, preferably typewritten on thick A4 size paper (size 29 cms X 21 cms) should be submitted and outer cover should be superscribed “APPLICATION FOR THE POST OF ____ AGAINST THE ADVERTISEMENT NO.-GSO/02/2017”. Photograph: A recent passport size photograph should be pasted on the right hand top corner (space provided) of the application and also enclose one additional photograph. (a) Educational Qualifications, Technical Qualifications, experience certificates including certificate of Apprenticeship Training undergone, if any, supported by relevant mark sheets of all the years, Registration certificate wherever applicable and Caste Certificate. (c) SC/ST/OBC certificates in the prescribed proforma applicable to Central Government employment. OBC for the purpose of AGE RELAXATION AND RESERVATION will mean “persons of OBC categories not belonging to the Creamy Layer” as defined in Government of India, Department of Personnel & Training OM No.36012/22/93-Estt. (SCT) dated 08.09.93 and modified vide Government Of India, Department of Personnel & Training OM No.36033/3/2004- Estt. (Res) dated 14.10.2004 and other subsequent amendments. The OBC Certificate should not be more than one year old as on the date of application. (h) Certificate from appropriate Medical authority certifying the extent of disability (for physically challenged persons only). (i) Discharge Certificate from Defence Services (applies to Ex-defence service personnel only). (j) Experience specifically stating the kind of work done should accompany the application. TAMIL NADU – 603 102.
so as to reach him on or before 31.01.2018.